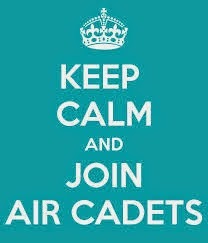 We are looking for any young people aged 12-17yrs with an interest in aviation, the Royal Air Force or other military units and want to join a fun, exhilarating and inspiring organisation then the Air Cadets is for you. Among the many activities you could be doing each week are: Flying, Marksmanship Training, academic lessons in a wide range of subjects, practical training such as map reading, military fieldcraft skills as well as communication and leadership training. If you are over 20yrs old and have a couple of spare hours a week with an interest in leading, inspiring and educating young adults then come along to find out how you can become an instructor. You may have a particular skill which you feel relevant to the organisation or simply enjoy the challenge trying something different and learning new skills then we may be just right for you. Please email 84@aircadets.org if you are planning to attend our Spring Open Evening or would like to register your interest and make an alternative appointment. See our Contact page for directions.